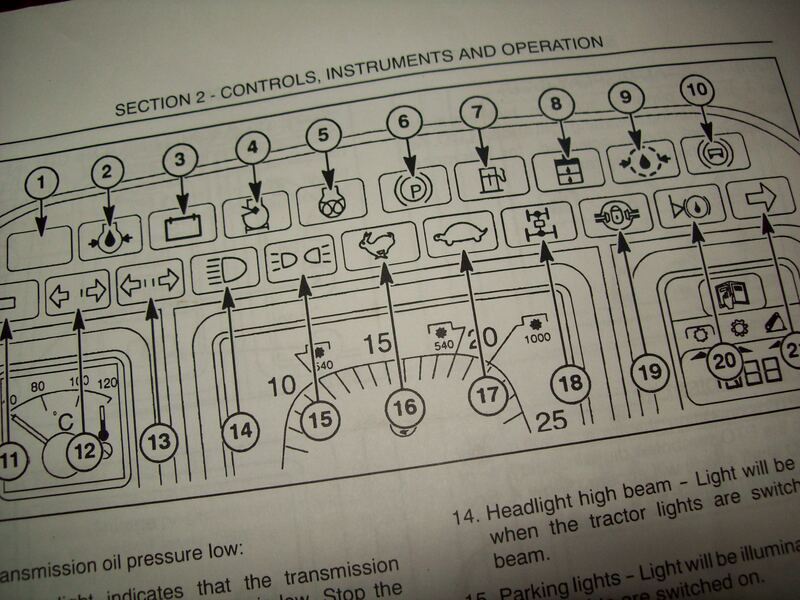 Rather than doing what we mechanics are often tempted to do (start replacing the most expensive parts first), I went to my library and pulled the service manual for the tractor with a light on, found the warning lights section in the table of contents, turned to the page, and shared with my coworker that the brake fluid was low. Instead, God chose to give us His Word in the form of a story, and while I often wish for a more instructive type of manual, one that is maybe a little more definitive in say, how to properly conduct baptism, or how to understand the Trinity, this is the means by which He has revealed Himself to us. Why? Why a story? Why not a brief but concise service manual with specifications and a troubleshooting guide for life as a disciple? I think there is something significant in a story, especially this one, but for now, I’ll turn off the mike (pun intended? of course). This entry was posted in The Story and tagged Adam Hamilton, Christianity, faith, inspiration, Religion and Spirituality, service manual, Slick Willie. Bookmark the permalink. 4 Responses to Why a Story? I have heard many acronyms myself for what the Bible is, but one reference to what the Bible is is actually from an old dcTalk song, called “Red Letters.” Its about there being so much in the words that Jesus spoke that are recorded in the Bible, such as love, hope, trust, and forgiveness. To me, the Bible is so much, but it is a love letter to us from God. Thank you for sharing! Indeed, and thank you for the “Red Letter” comment. Thank you for returning to the blog world with these offerings on The Story Of The Lord. I hope your readers will join in with their thoughts, this is a topic that makes a huge impact in how we understand Th Word. Hello out there!! What say all of you?? I am studying in the gospels as I prepare a series of lessons and I am struck again at how we can best understand the gospels only in context of the entire story The Lord is revealing, and Jesus as the ultimate revelation…the climax of the plot! It may be scandalous for me to think…but I wonder if dividing the Story into Old and New has been a stumbling block. Even the four themes of the Gospels (Matthew emphasizing Jesus as King, Mark’s paradigm as Jesus the Servant, Luke’s point of view that Jesus is Man, and John’s poetic descriptions of Jesus as God)…are all a continuation of Story revealed to Isreal…all are rooted in the context of “the big picture”. So although in the past I also “wish for a more instructive type of manual, one that is maybe a little more definitive in say, how to properly conduct baptism, or how to understand the Trinity”…I now believe I am better served to learn the heart and character of The Lord through Story. In knowing Him, I won’t need a cumbersome service manual that gives checklists and troubleshooting tips and indexed helps and schematics…instead maybe I will have the mind of Christ and glimpse the plot and rest in His writing. Thanks again for following this theme of Story. Your posts are like a springboard that helps our thoughts take off. By the way, on your recognition of the problematic dividing of the Testaments, I read something this week making it known that our labeling of the Hebrew Bible as Old is offensive to those of the Jewish persuasion… never really thought of that. Thanks for the marvelous comment! !